Ramadan is here and while many will be excitedly preparing all the essential aspects of Ramadan spare a thought for the many that will not be able to fast for health reasons and have their faith questioned by people who are keen to offer advice and pass judgement in the name of ‘help’. Although the Qu’ran clearly states that people with health problem are exempted from fasting and can instead either make it up when better or if it is a chronic condition then feeding the needy for everyday that you are not fasting but people don’t seem to be as understanding as the religion of Islam itself. Disabled, breastfeeding mothers, pregnant women and people of weak health are all made to feel guilty for not fasting, with comments ranging from “why don’t you try a bit harder” to “what do doctors know, God will give you all the needed strength”. This intensifies the guilt that is within the disabled, vulnerable and the ill who can’t fast making them feel as though their non-fasting is out of choice or their love for food is stronger than their faith’s obligation. 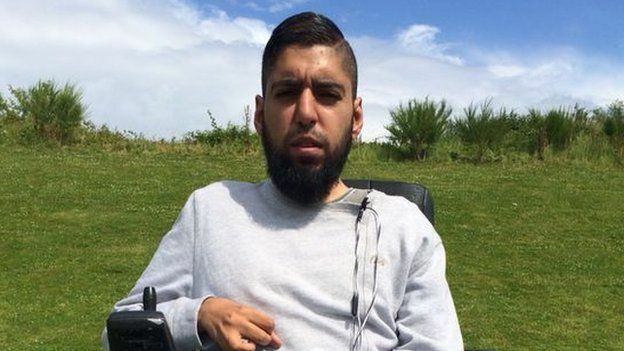 A year ago I came across the story of Ahbid Choudry, 34, who was diagnosed with muscular dystrophy at the age of 13-years-old, a condition which left him unable to walk and with a weakened immune system. Despite his condition and the limitations in physical ability he decided to fast with the rest of his friends. “Doctors have told me not to but they’re the same doctors who told me I wouldn’t be here at 22, so their opinion doesn’t mean anything to me. “Fasting’s supposed to be a struggle and I enjoy the struggle,” he said. Ahbid’s family were very concerned about his wellbeing, deliberately choosing not to wake him for the customary pre-dawn meal known as Suhoor in the hope he will stop fasting. However, their son defied them just as he defied medical advice. 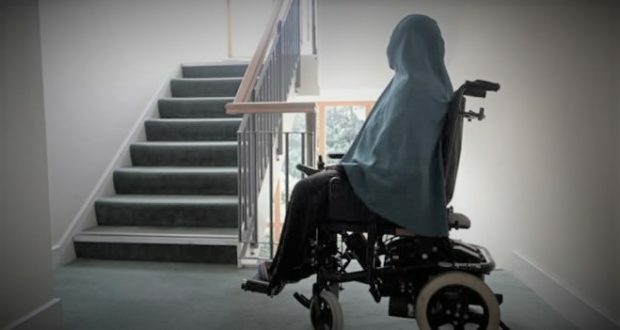 Although Ahbid’s decision is admirable but I fear stories like that will encourage the public to question every disabled and health vulnerable persons’ decision to not fast. As people will automatically make comparison and offer their not so informative advice “if someone like Ahbid manages to fast so can you, it just requires that extra faith and determination”. Disregarding the fact that yes, Ahbid is disabled and has weak immune system but we don’t know if he is on medication throughout the day or if he is enduring pain and what will he consequence of his decision to fast will be? Just because a person is visibly disabled and to the naked eye seems to be in a poor health to another person who appears to be fit enough to fast, this could be far from the truth and the reality of things. How many people do we see on the street who we will never guess that they are carrying a condition or an illness of some type. Cancer and diabetic patients are not easy to identify unless they tell us and the same applies to many forms of disability. Therefore in some cases a disabled person who we think is not strong enough to fast can possibly do so if they are not on medication, whereas a seemingly healthy person who is assumed capable of fasting may not be able to do so due to the medical treatment that they are receiving. In an interview with the BBC few years ago the American-Palestinian comedian and actress with cerebral palsy Maysoon Zayid who always chose to fast during Ramadan, admitted her defeat after 30 years of doing so as the realisation that her health could no longer take the fasting hit her. “One of my cerebral palsy symptoms is that I shake all the time, frustratingly, that shaking was finally getting the better of me. By noon, I no longer had the coordination and by the time I prematurely broke my fast at 20:00 I could barely breathe. I knew I had fasted my last.” Having cerebral palsy means that, technically, Maysoon is exempt but like many disabled people who strive to be equal and participate in every aspect of life Maysoon challenged herself. Similar to my own personal experience when I defied my mother and doctor’s advice and fasted I was actually treated like a champ – my family were over the moon and just like Maysoon I knew that by fasting against the odds I had been born with, I am trying that little harder and would be rewarded. Plus at the time I was convinced that I by fasting I am changing people’s perception of the disabled and challenging the usual stereotype. Now I realise that by not fasting and showing it overtly I am also raising awareness; there is no shame in admitting that you can’t physically abstain from food and I will not lie or hide it. After all it is God’s will that I can’t fast so why would I defy it or lie about it. Sadly for many other disabled or ill people do feel the shame and try to hide but they have no reason to do so. We are warned in the Qu’ran about throwing ourselves in risk so why ignore this warning? To please the people who are eager to pass judgement during Ramadan; one of the holiest months. There are so many other ways to make the most of Ramadan, the month is not just about abstaining from food! It is a time to get closer to your faith; devote more time to reading Qu’rn, praying, doing extra supplications and helping others who might be in desperate need. Doing charity work will not only help you stay healthy, it will also help someone who is genuinely suffering. In my view Ramadan is more than just about doing things for ourselves such as fasting, praying etc it should be about what we do for others how we ease their struggles and not judge them. Social behaviour in my eyes is equally important as the spiritual practice; what will the point be of someone who fasts and prays yet criticise others for not fasting, judge them without knowing the facts and treat them as inferior. Next article Yes, I am Disabled But Inspirational I am not!